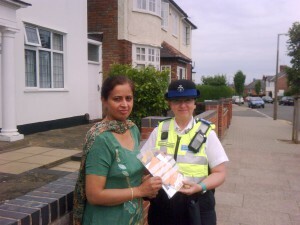 Police in Leicester have visited over 500 homes in just two days as part of their commitment to reducing burglaries. Police Community Support Officers have knocked on 523 doors, personally spoken to 324 residents about their home security and provided them with a burglary prevention pack in the Hinckley Road area of the city. At homes where there was no response, a pack was posted through the letterbox. The main aim of the initiative is to encourage residents to register their property on the UK National Property Register, Immobilise, which is supported by all UK police forces. Members of the public can log on to www.immobilise.com to register the serial numbers of expensive electronic items such as televisions, laptops, mobile phones and MP3 players. 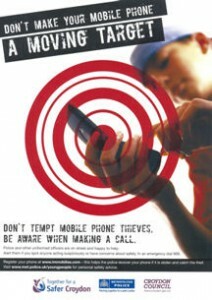 These details will assist the police in tracing property and returning it to its owner in the event it is stolen. Immobilise is a national database that’s free to use and takes just minutes to register your property. 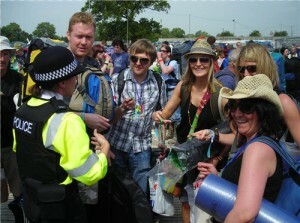 It is used by all police forces to assist in identifying the rightful owners of recovered stolen property. Whilst insurance may cover the cost of a stolen laptop, it cannot replace lost family photos or important work stored on it. arranged for residents to have a personal visit from Leicestershire Constabulary’s Crime Reduction Officer or referred them to the Council for free security improvements to their home. The Immobilise initiative, which will be rolled out to other areas of the city over the summer months, forms part of Operation Itchen – a city-wide campaign to reduce burglaries. As well as increased high visibility patrols and the targeting of known offenders, a number of other initiatives will run throughout the summer in conjunction with the Safer Leicester Partnership. Anyone with information about burglaries in Leicester is urged to call Leicestershire Constabulary on 0116 222 2222 or Crimestoppers, and anonymous, on 0800 555 111.